You are currently browsing the category archive for the ‘Home Care and Maintenance’ category. This is a great little chart to help both when buying or selling a Smart Home to ensure that everyone reaps the benefits. Sometimes information regarding the manuals or which items you have in the home can be lost in the complicated process of purchasing or selling a home. Easy to print or save to your computer. Thank you Florida Realtors for putting this together. Very much appreciated! Now that the weather is beginning to warm up, it’s time to start thinking about ways to save on utility bills and energy costs before you’re shocked by your first big bill this summer. Luckily, there are many steps you can take to prepare your home (and your wallet) for the summer heat without sacrificing comfort. So, before you crank up the AC, take a look at our top ways to save on utility bills this summer. Your budget will thank you! Is there anything worse than a broken HVAC system in the summer? The good news is you can avoid this nightmare by taking precautions and getting your HVAC ready for summer. First, you’ll want to clean or change the air filters as dirty or clogged filters force your air conditioning system to work much harder, which in turn causes more wear and tear in the long-run. You’ll also want to inspect your outdoor unit for any visible signs of damage such as warped panels, torn insulation or rust. In the colder months, small animals may nest inside the insulation so you’ll want to inspect the inside as well. Taking these steps to ensure your AC unit is working efficiently will help keep your energy bills low this summer. Many homeowners make the mistake of closing off vents in rooms that are not being used, but closing vents causes more pressure in the ducts causing your air conditioner to work much harder. Before you turn the AC on this summer, open all the vents and give them a nice cleaning. 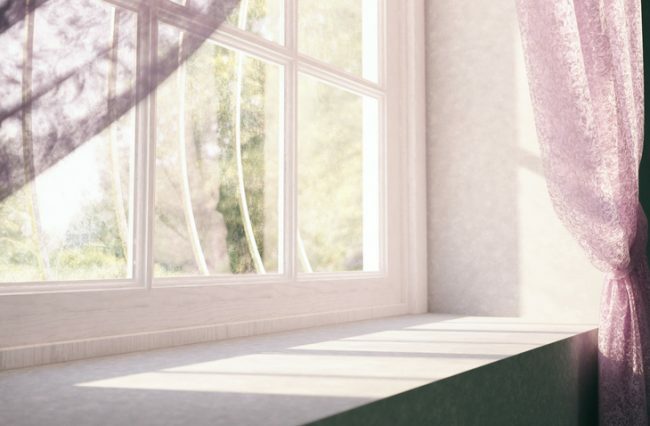 Did you know that keeping your blinds closed during the day can drastically reduce the heat in your home? Keeping them open causes a greenhouse like effect—sunlight and heat pour in all day and can’t get out, making your home much warmer and causing your air conditioning to work over-time, which in turn will spike up your power bill. Do you live in a deregulated energy region? If so, you have the power to choose your energy provider and can shop around for the lowest energy rates. If you haven’t researched your options in a while, summer is the perfect time to reevaluate your current energy provider and find out if there is a cheaper rate out there. Many deregulated energy providers offer special promotions in the summer, like “free nights,” so you should definitely check out what else is out there. To see if you live in a deregulated area, just enter your address here. If you want to be cost conscious this summer, you shouldn’t blast your air conditioning at all hours of the day. A lower temperature setting at night and a higher setting during the day is recommended for optimal cost savings. If you’re forgetful or aren’t always around to change it, we recommend installing a programmable thermostat that allows you to schedule your temperature changes even when you aren’t home. While incandescent light bulbs are cheap, they use more energy and produce quite a bit of heat compared to LED bulbs. LED bulbs tend to be a little more expensive than incandescent lights, but they last longer, produce less heat and create great energy savings in the long run. So, consider making the switch the LED lights, at least in the rooms you use most, to help lower your utility bills this summer. If you don’t know, a water cistern is a device that captures rain water and stores it for you to use to water your garden or lawn, to wash your car, etc. Your water bill can get out of hand in the summer as you spend more time outdoors, so a water cistern is a great investment if you want to keep your garden and lawn green all summer long without paying for extra water use. In the warmer months, you should run your ceiling fans counter-clockwise. Since heat rises, the counter-clockwise motion will help pull the cold air up toward the ceiling. Running your ceiling fan efficiently will help cool your rooms, allowing you to set your thermostat to a higher temperature, ultimately reducing your power bill. Connecting multiple appliances to a smart power strip that can be turned off with only one flip of a switch at night when the devices aren’t being used is a quick and easy way to help reduce energy waste. When you don’t have to unplug all your devices individually, saving energy suddenly becomes much easier! Irrigation schedules or timers that you can set to schedule when your garden or lawn will be watered sound nice in theory, but they actually produce quite a bit of water waste. You can’t control when it rains, and you may not be home to stop your irrigation system from going off when it does. Watering manually may seem like a chore, but when you think about all the money you can save from reducing water waste, manual watering becomes more appealing. Don’t let the first utility bills of summer sneak up on you. Be proactive and implement our tips, we promise they’ll help you save big on your utility bills this summer! Rob Caiello is the Vice President of Marketing over at Allconnect. Since 1998, Allconnect has simplified and expedited the purchase and setup of home utilities and services (like internet, TV, and electricity) for millions of movers relocating across the United States. 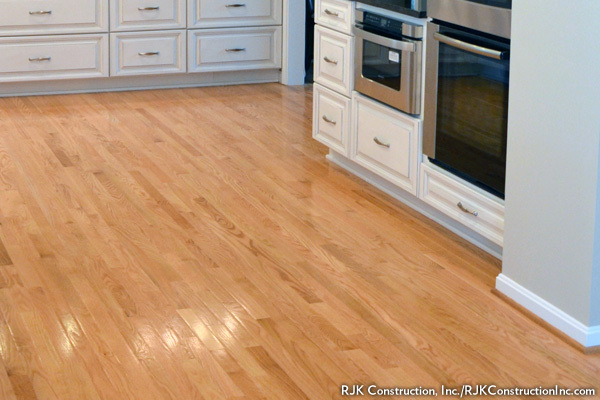 Architects, developers, and designers are moving past green homes and open floor plans. Here’s what trend-conscious buyers need to know. Much of the hype around healthy living these days centers on whether you’ve eliminated gluten from your diet or walked 10,000 steps today. But lasting health benefits may be better derived from fundamental changes in how we live. 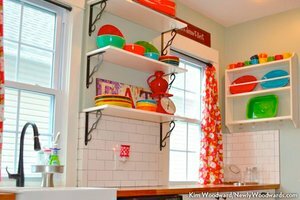 That’s the tack savvy building and design professionals are taking as they draw on technological advances and changing demographics to create a new vision for the home. It’s not enough to just be green anymore; tomorrow’s homes—both single-family and multifamily buildings—will be more sustainable and resilient to natural disasters. And we’re moving beyond open floor plans. Flexible spaces are giving way to homes that can accommodate multiple generations, communal gatherings, and universal design. These preferences will influence the size of homes and how they look—and function—outside and inside. In addition, they reflect where homes are built, as an increasing number of buyers—from millennials to boomers—want to shorten their commutes and walk more. You can become an expert resource for buyers and sellers by tuning into the forward-thinking trends that design and architectural pros are buzzing about. While suburbia isn’t dead or dying, it’s clear that a groundswell of home buyers is heading downtown. For some, that means a dense urban metropolis like New York or Chicago where work, home, and retail are at their doorstep. But for others, what’s appealing is a suburb with a downtown core that offers walkability such as Highland Park, Ill., or Clayton, Mo. Even a more rural outpost like bucolic Red Hook, N.Y., with its robust town center, fits the bill. The common denominator: People of all ages are tired of their car-centric lives and care less about square footage than finding a home in a location that’s compatible with their interests and values, says Bruce D. Snider, a building designer and architectural writer based in Belfast, Maine. The construction of houses and multifamily buildings is evolving. Designers and architects are seeking to make buildings that are weather-resilient, sustainable, safer, and primed for the latest technology. Well buildings: Green buildings that steer clear of harmful paints and adhesives and highlight water conservation are well-regarded, but the newer focus is on design that enhances the quality of life for occupants. “Biophilic” planning involves placing windows to showcase outdoor greenery and doors that strive for seamlessness between the great outdoors and a home’s interior. An emphasis on natural light, along with LEDs controlled by dimmers and in colors that can be changed for nighttime and gray days, simulates circadian rhythms in the body to improve sleep patterns, another boon for healthfulness. Upcoming software will harvest daylight to provide more natural light since some multifamily building codes dictate smaller glass expanses and restrict certain lightbulb types, says sustainability consultant Brian Lomel, cochair of the Urban Land Institute’s South Florida Building Healthy Places Committee. In areas with small yards, pocket gardens are popular, and more rooftops will be planted on multifamily buildings and townhouses. And look for more landscapes with trees featuring interesting branch structures, even without blooms or berries, says Betsy Williamson with Williamson Chong Architects in Toronto. Less maintenance: Whether it’s due to the financial burden or the lengthy time commitment of tending to yards and repairs, consumers are eager for materials and systems that are more durable and require less maintenance than in the past. “Many boomers and their offspring are less inclined to mow lawns and perform other tasks,” says architect Duo Dickinson, author of Staying Put (The Taunton Press, 2011). At Aventura ParkSquare, realistic-looking artificial turf will be installed, which will help conserve water. Other systems and materials there will need to be replaced less often. Individuals like mason and builder Clay Chapman of Atlanta’s Hope for Architecture also focus on materials with greater longevity, which is influencing the thinking of both design professionals and home owners. “Hand-built brick walls are labor-intensive but will last for centuries rather than for just one home owner,” he says. Architect Jon Handley of Pulltab in New York concurs. “The best way to be green is to build with quality that lasts,” he says. Weather and energy: Communities on the forefront of energy and weather efficiency are setting guidelines for better waterproofing and strategically placed insulation. “The goal is to go beyond what’s required, not use energy at all and get off the grid,” says Philadelphia developer Nino Cutrufello. Going the energy-efficient route can be less costly than adding features such as solar panels and geothermal heating, he says. Structures are also being better designed to withstand severe weather. Aventura ParkSquare, outside Miami, is being designed to include well-insulated windows that block harmful ultraviolet rays, says principal Victor Ballestas. In parts of California where fires have raged, noncombustible concrete tiles, brick, and composites that imitate wood are favored, says New York architect Chris Garvin. Healthfulness: Encouraging healthy living goes beyond including bicycle racks and gyms in multifamily buildings, Lomel says. To build Aventura ParkSquare, a community within a community, its developer Integra Investments heeded ideas from “Fit City Miami,” a collaborative effort with ULI to incorporate The American Institute of Architects’ “Active Design” guidelines. Results at the condominium development are retail options such as a boot camp and yoga studio, restaurants with rooftop gardens for growing produce, medical offices, an assisted-living facility, wider sidewalks, and a 131-unit condo building with glass-enclosed stairways to encourage walking rather than riding in enclosed elevators, says Ballestas. ULI’s South Florida group will showcase the project as a case study for healthy-living initiatives, Lomel says. Smarter technology: Managing power needs will continue to be huge as more home owners seek to stay connected 24/7. Forward-thinking techies will develop more robust wireless hubs to provide power from a central source and make it easier and less costly to control everything from one app on a smart phone, says Garvin. Already, developers like Washington, D.C.’s EYA are bringing on board an automation consultant. The size and layout of single-family homes, condos, and rentals are being reconfigured with an eye toward fostering community and adapting to space challenges and changing demographics. Seed to feed: Don’t call it a garden: Edible landscaping is appearing in single-family yards and multifamily building rooftops. Lomel predicts consumer and developer interest will lead to demand for organic gardening consultants. “They’ll satisfy people’s food-growing needs rather than [feature] nonedible plant materials,” he says. Communal space for cooking and dining are expected to be part of more development projects. “People want that sense of connection,” Garvin says. An even bigger trend is the “agrihood,” which makes a farm a key amenity in a residential development. Developer and architect Matthew “Quint” Redmond of AgriNetx in Golden, Colo., conceived the idea back in 2003, but the recession stalled construction. Ground will be broken this fall for his newest—Adams Crossing in Brighton, Colo., which will include 438 residential units on 101 acres with about half the land devoted to farms. Redmond says his two prime buyer targets are “boomers who would rather work in orchards than play golf and millennials who don’t want to live in a cubicle as their parents did.” Many sites are former golf courses, and he expects more little-used courses to be transformed. Multigenerational togetherness: Multiple generations living together isn’t new; cultural traditions, economic pressures, and elderly and child care needs have long made such arrangements desirable for some. In the past, families had little choice but to offer up a spare bedroom when they needed to share their space. But architects are dreaming up new options for the 21st century family. Designer Marianne Cusato became an early proponent for planning ahead with her “New Economy” house; its first-floor suite with a private entry offers independence for older adults and boomerang children. EYA is designing townhouses with private quarters on one floor that can be converted to other uses as needs change. Open plans on a smaller scale: Open floor plans still dominate, but to differentiate smaller spaces, designer Seth Grizzle of Graypants in Seattle likes to add whimsy, reflecting the desire for customized spaces. “People want a fun edge that makes them smile, and they’ll give up space to get some uniqueness,” he says. Examples can include a door that becomes a bookshelf, a phone charging station in a desk, or a softly glowing wall lit from behind. In multifamily buildings, developers are including larger shared and mixed-use spaces to make up for smaller-sized dwelling units. David Baker Architects’ 1178 Folsom Street building in San Francisco will include units that average just 290 square feet but have access to large common areas such as a rooftop deck and ground-level retail. Sarah Barnard, a designer in Santa Monica, Calif., sees the trend mushrooming as millennials shift from renting to buying. “They’re a generation that is less materialistic and more concerned about the environment and that has a debt burden, so they have less to spend,” she says. In the saving energy fight, the hot water heater is a born loser. 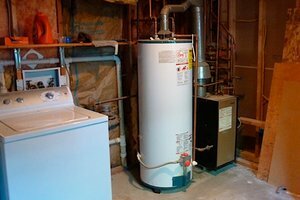 That’s because most of us have a conventional storage-type water heater. That water storage tank works constantly to keep water hot and ready whenever you want it. 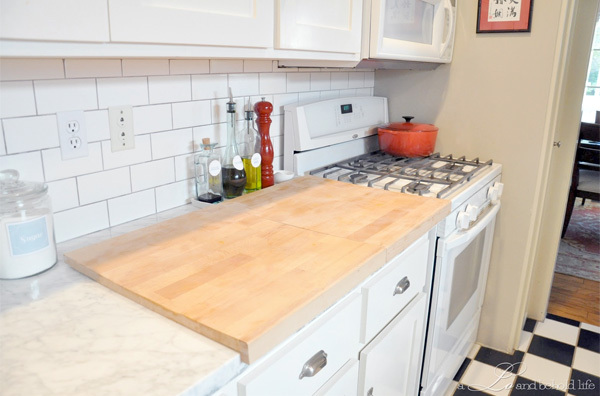 But as the water sits, it naturally cools down, a process known as “standby heat loss.” When the water cools, the burner or heating element kicks on to warm it up again, in a constantly repeating cycle. For every 10 degrees you turn it down, you’ll save 3% to 5% on your bill. Most water heaters come preset at 140 degrees, which has the added risk of scalding. 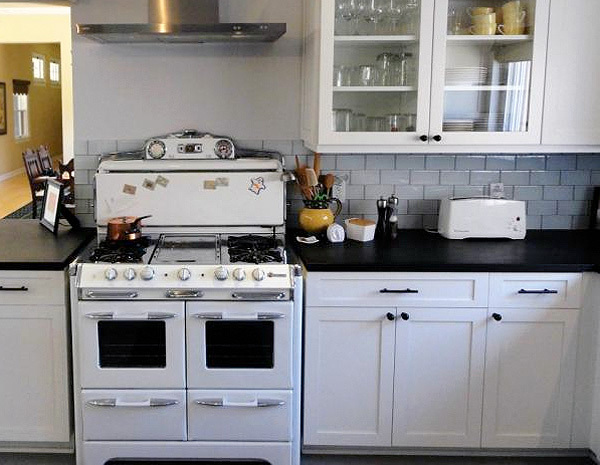 The Energy Department recommends most households lower it to 120 degrees. That’s high enough for your needs, and high enough to reduce mineral buildup in your tank and pipes. First measure to see what temperature your water is at now. Don’t trust the thermostat. They are often inaccurate. Instead, use a thermometer to measure the temperature of the hot water at the faucet farthest away from the heater. To remember this setting, mark that temperature on your thermostat. Now turn down the thermostat to what you think will be 120 degrees, based on your earlier measurement. Wait at least 2 hours. Measure the water temperature again at the same far-away faucet. It may take a few attempts to get it right. 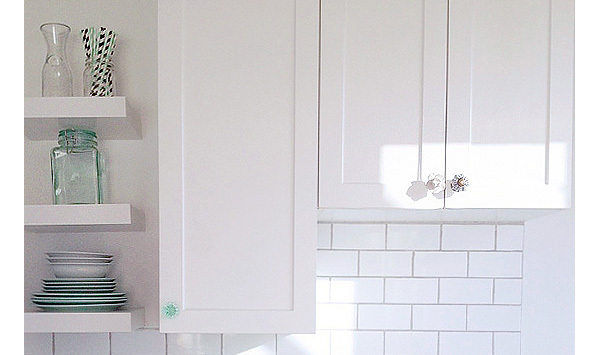 Once it’s right, mark that spot on your thermostat so you’ll remember it. If the thermostat on your water heater doesn’t have a numbered gauge, put it midway between the “low” and “medium” marks. Wait a day, and then measure the tap temperature as described above. Keep adjusting until you hit your target temperature. Keep in mind that some water heaters have two thermostats — one for the bottom heating element and one for the top. A family of four showering five minutes a day uses 700 gallons of water each week — a three-year supply of drinking water for one person! Simply by installing low-flow showerheads and faucet aerators ($10 to $20 each), you’ll cut your hot water consumption by 25% to 60%. Plus, you’ll save on your water bill. That family of four using low-flow fixtures can save 14,000 gallons of water a year. Also, make sure you use the “economy” setting on your dishwasher, and break the pre-washing habit. 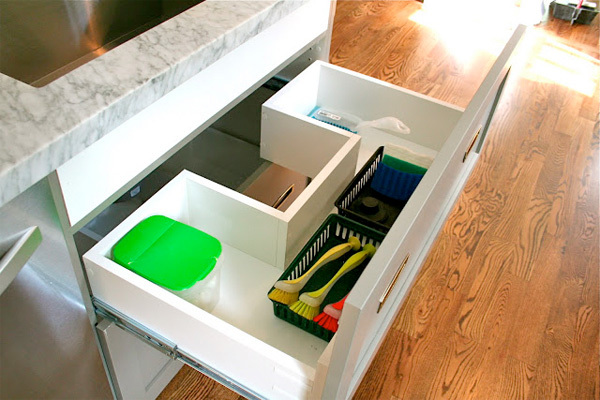 Modern dishwashers can handle a dirty dish. Scrape what’s left of dinner into the trash or compost bin and then load. Connect a garden hose to the spigot at the base of the tank. With the other end of the hose pointed at your floor drain, carefully lift the tank’s pressure-relief valve and turn on the tank’s spigot; water should begin to flow. Tip: While most manufacturers recommend draining the tank once or twice a year, you don’t have to drain it completely; in fact, the Department of Energy recommends draining less water more often — just a quart every three months. By insulating your hot water pipes, water will arrive at the faucet 2 to 4 degrees warmer, which means you won’t have to wait as long for it to heat up, thus saving energy, water, and money. While this isn’t an expensive DIY job — 6-ft.-long, self-sealing sleeves ($2.50) easily slip over pipes — it could take effort, depending on where your hot water pipes are located. Exposed pipes in the basement are easy targets: Hard-to-reach pipes in crawl spaces or walls might not be worth the trouble. If you have an older tank, and especially if it’s located in an unheated space, wrapping it with an insulating blanket is a cheap and easy way to reduce costs. Manufacturers have figured this out, so most newer models already are insulated. It’s easy to find out which one you have. Look on its label to see if it has an R-value of at least 24. If not, you should insulate your tank. With these older models, an insulating blanket can cut heat loss by 25% to 45% and save 4% to 9% on the average water-heating bill (source: American Council for an Energy-Efficient Economy). Insulating blankets are easy to install and inexpensive ($20). When dressing your tank for saving energy, be careful not to block the thermostat on an electric water heater or the air inlet and exhaust on a gas unit. If you have a newer model that’s already insulated, don’t make the mistake of thinking you can get additional savings by adding a layer of insulation. 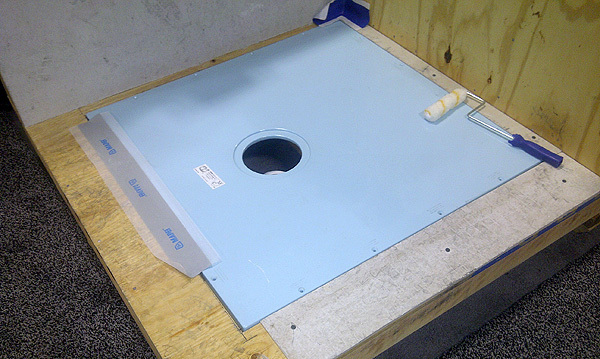 It can block critical components and become hazardous. Check with your manufacturer. I think that this is the home that I’ve been looking for. NEW YORK – Aug. 15, 2012 – The HGTV cable channel will construct its first HGTV Smart Home in Paradise Key South Beach in Jacksonville Beach, Fla. Designed to fit into the coastal Northeast Florida architecture, the home will feature the latest technology and incorporate many of energy-saving features. 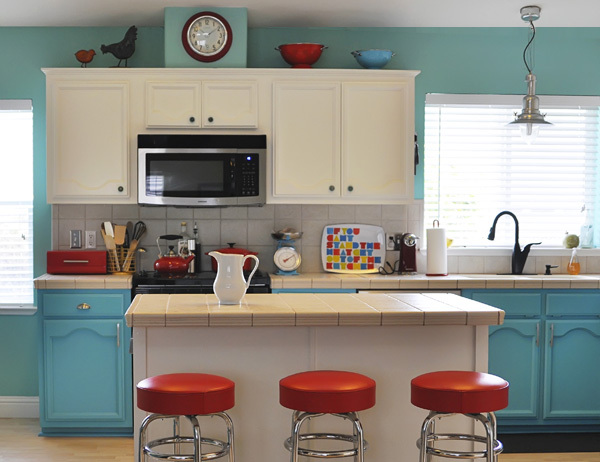 HGTV viewers can enter for a chance to win the home next spring when the HGTV Smart Home Giveaway opens for entries in April 2013. They can follow construction progress at www.hgtv.com/smarthome. Smart home technology connects many appliances and devices, and allows homeowners to monitor energy use and control systems such as security, interior climate, lighting and other electronics. Designed by architect Mike Stauffer, AIA, and constructed by Glenn Layton Homes, the HGTV Smart Home will measure about 2,400 square feet with over 1,000 square feet of covered porches, decks and a pool. The project will use primarily local labor and materials. The 2012 Pacific Coast Builders Conference has a dazzling array of brainy products that take the worry out of having to think for yourself. I’m a sucker for home products that are smarter than I am. OK, maybe that’s setting the bar too low, but when looking for intelligently designed stuff that has a little techno-pop to it, the annual Pacific Coast Builders Conference in San Francisco is a great place to start. 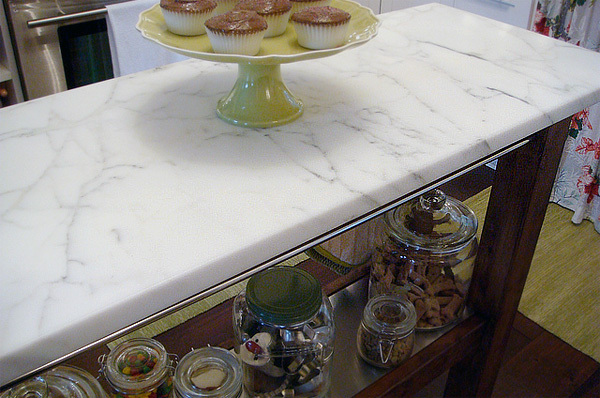 PCBC trots out some of the slick-but-common-sense innovations in the industry. 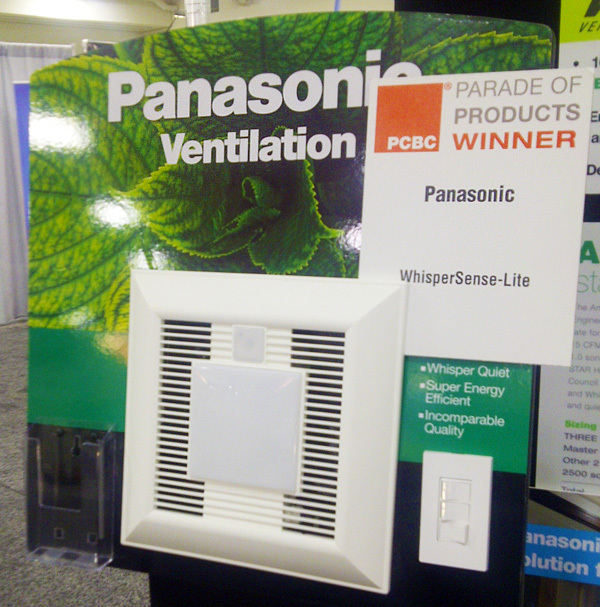 Here are a few of the products I saw at the recent 2012 PCBC that I’d buy for my own home. A couple are a bit pricey, but expect costs to come down as demand increases. 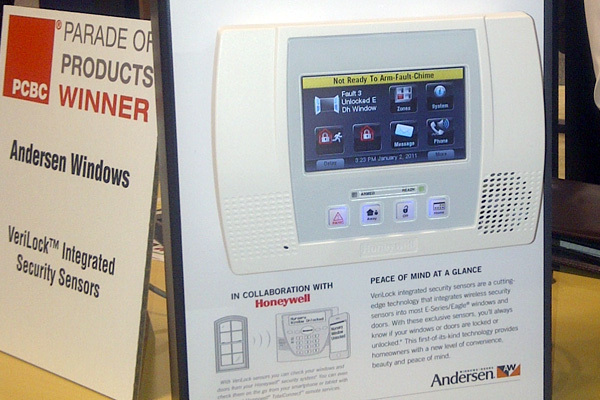 In this peanut butter-and-jelly corporate pairing, Andersen Windows teamed up with Honeywell to create a home security system. Wireless sensors embedded in Andersen’s Verilock-equipped products (marketed through their Eagle and Silver Line windows and doors) know if windows and doors are open or closed, and if they’re locked or not. The info is displayed at a centrally located control panel, or you can check from your smartphone or tablet. 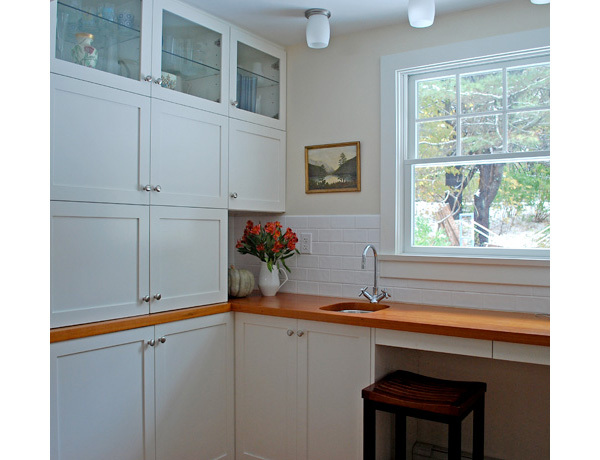 The setup and a couple of 2-by-5-foot casement windows is about $2,500. Windows with Verilock are 20% more expensive than without. 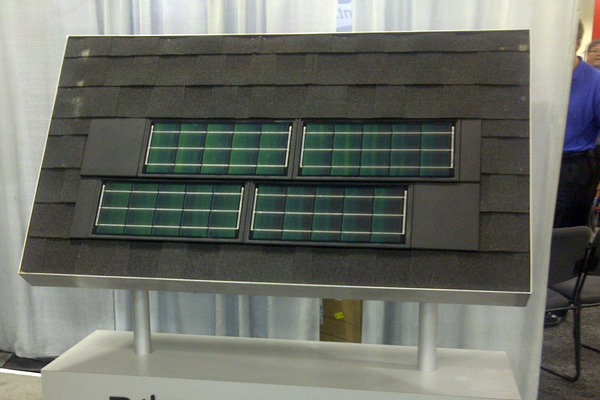 A grail of the solar energy industry has been to create a good-looking residential roofing shingle that’s also a solar panel. The Dow Powerhouse Solar Shingle comes close. It looks like a regular asphalt shingle, albeit a real shiny one, and it’s designed to integrate with regular asphalt shingles. They’ll withstand 110 mph winds and 1-inch hail. For $31,000 worth of new roofing featuring both Powerhouse and regular asphalt shingles, a 2,550-sq.-ft. house would see $76,000 worth of energy savings in 25 years. One thing that makes a lot of sense when it comes to home automation (not everything does) is smart irrigation control, and the ESP-SMT Irrigation Controller from Rain Bird seems to have a lot going for it in the smarts department. Input your ZIP code and the integrated sensor monitors daily weather conditions and turns on the irrigation system only when needed. 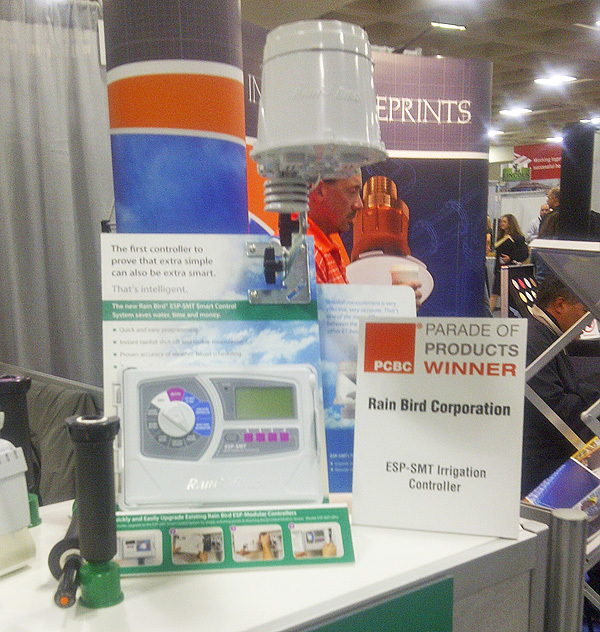 Rain Bird claims 30% to 50% less water consumption than a conventional controller. It also factors in the slope of your lawn, the amount of sun exposure, and soil type; and it handles up to 13 individual zones and meets EPA WaterSense criteria for irrigation controllers. $135. Our bathroom fan sounds like a 747 taking off — you flinch and duck when you turn it on. Thankfully, fan engineering is getting quieter, and Panasonic’s WhisperSense-Lite bathroom fan adds motion sensors, a humidity sensor, a delay timer, and a night light. Plus, it’s Energy Star qualified and really quiet — great for concentrating on that crossword puzzle. $350. This isn’t necessarily high-tech, but I’ve been looking for a curbless shower pan for our own (endless) bathroom renovation; this one could fit the bill nicely. The barrier-free shower is standard for universal design installations, but walk-in showers are tres chic for today’s bathrooms, and by golly we want one. The Tuff Form Shower Base from Design Without Barriers has a slight slope to drain water — no need to pitch the subfloor — and it works with either ceramic tile or vinyl flooring. A 3-by-3-foot shower base is about $1,000. Which product would you buy? Are you a must-have-the-latest technology person or someone who’ll wait until prices come down? 1. Roofing repairs: If you suspect winter storms may have damaged your roof, it needs to be inspected. (If you’re not comfortable with the height or steepness of your roof, hire a licensed roofing contractor for the inspection.) Look for missing or loose shingles, including ridge-cap shingles.Examine the condition of the flashings around chimneys, flue pipes, vent caps, and anyplace where the roof and walls intersect. Look for overhanging trees that could damage the roof in a wind storm, as well as buildups of leaves and other debris.If you have roof damage in a number of areas, or if older shingles makes patching impractical, consider having the entire roof redone. Also, remember that if the shingles have been damaged by wind or by impact from falling tree limbs, the damage may be covered by your homeowners insurance. 4. Clear yard debris: Inspect landscaping for damage, especially trees. If you see any cracked, leaning or otherwise dangerous conditions with any of your trees, have a licensed, insured tree company inspect and trim or remove them as needed. Clean up leaves, needles, small limbs and other material that has accumulated. Do any spring pruning that’s necessary. Remove and dispose of all dead plant material so it won’t become a fire hazard as it dries. 5. Fans and air conditioners: Clean and check the operation of cooling fans, air conditioners and whole-house fans. Shut the power to the fan, remove the cover and wash with mild soapy water, then clean out dust from inside the fan with a shop vacuum — do not operate the fan with the cover removed. Check outdoor central air conditioning units for damage or debris buildup, and clean or replace any filters. Check the roof or wall caps where the fan ducts terminate to make sure they are undamaged and well sealed. Check dampers for smooth operation.